PRODUCT INFORMATION: Brand new boxed and comes as 8 paper panels. Fast and Easy to Apply wallpaper. Perfect for the kitchen, bedroom, office or anywhere in the house. How does it work: Prepare wall as per instruction. 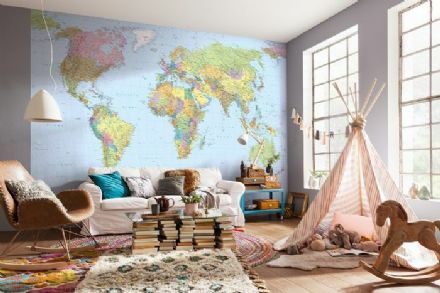 Mix wallpaper adhesive supplied with your wallpaper and then apply it to wall. Now stick your mural direct to the prepasted wall. And it's ready - you can enjoy your new stunning room. 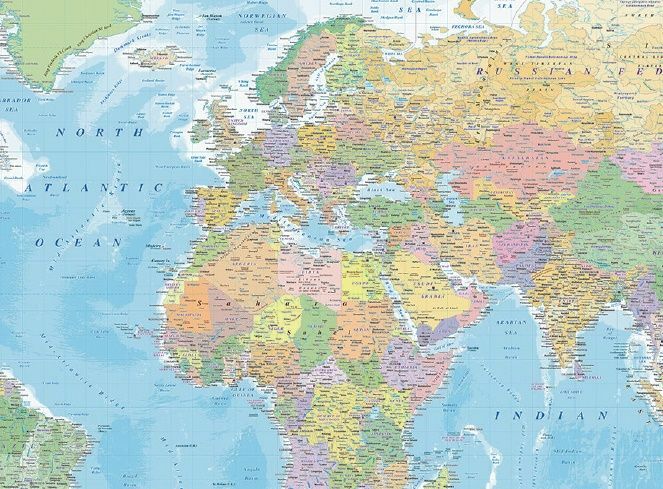 Search tags: wall mural, photo wallpaper, photo wall, photo mural, paper wallpaper, large size wall decor, photographic wallpaper, living room wallpaper, bedroom wallpaper, hall wallpaper, blue educational political map of the World, detailed map wallpaper, office wall covering. 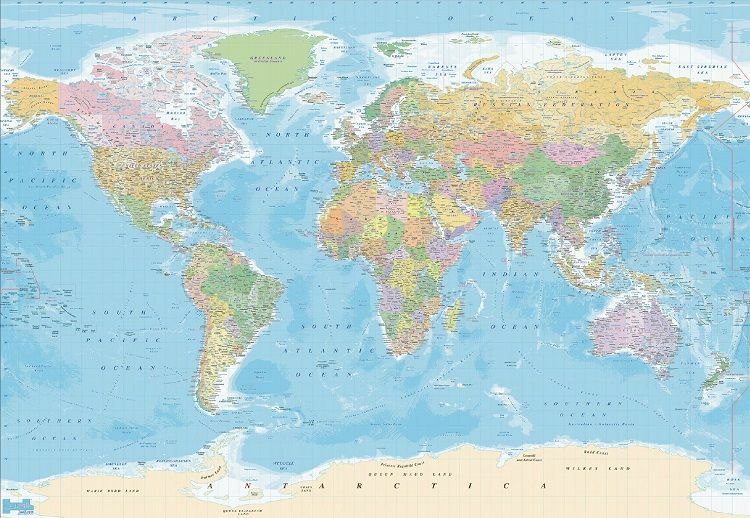 Wolrd Map including all countries and cities as of 2015. 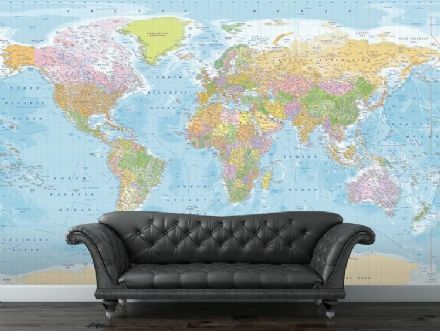 Map wall mural, Political map, Map photo wallppaper.